A piece of tie-dyed beauty! 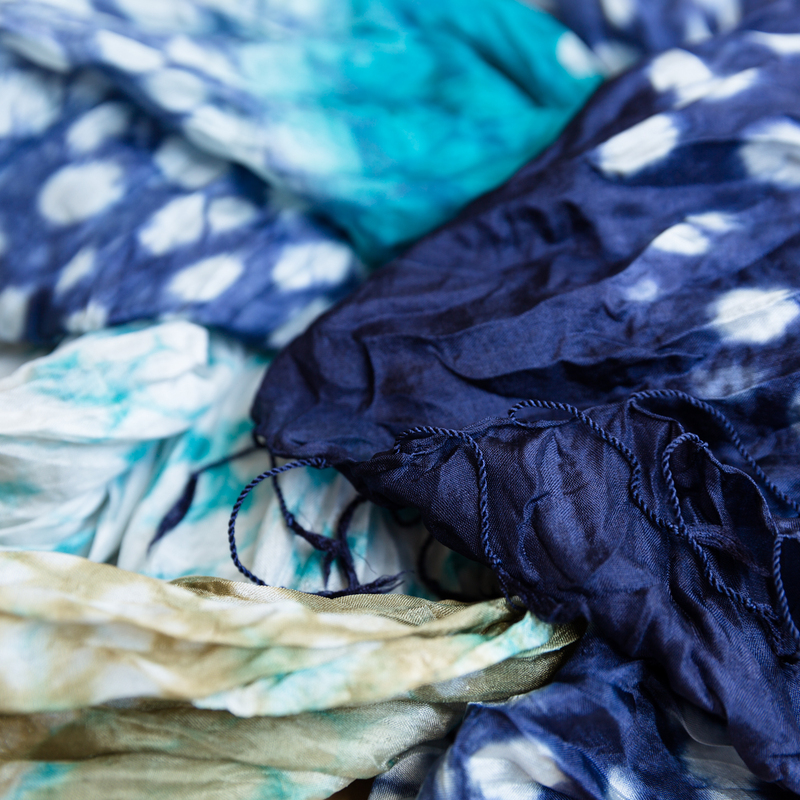 This soft and supple silk scarf in different shades of blue and green is handcrafted by Vinita in Thailand. Vinita is locally known for her extraordinary colour combinations and her knowledge of complex dyeing techniques. A versatile scarf that will bring comfort and pimps your outfit at the same time.